The CORSAIR Commander PRO grants superior and accurate hardware control with a compact, all-in-one device. 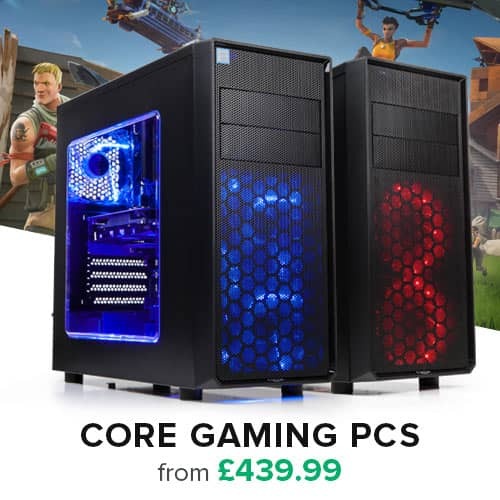 It is fully compatible with CORSAIR LINK devices and supports up to six fan connectors, two internal USB 2.0 headers, four temperature inputs, and two RGB LED channels. Accurately monitor how your system reacts when you push it to its limits. Manage your fans without pressing knobs or switches through the intuitive CORSAIR LINK software. Synchronize your RGB lighting effects with the HD RGB fans, SP RGB fans and individually addressable RGB LED strips to light up your build. 1. One Commander. Absolute Control: The CORSAIR Commander PRO is an all-in-one device that provides control and monitoring for up to 6 case fans, 4 temperature inputs, 8 individually addressable RGB LED strips, 12 HD RGB or SP RGB fans (sold separately), and 4 USB components. 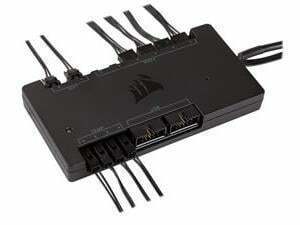 Manage and control all of these devices through the intuitive CORSAIR Link software. 1. Six 4-pin fan ports with voltage and PWM control: Control 3-pin and 4-pin fans manually or automatically easily and effectively through the intuitive CORSAIR Link software. 2. Dual channel lighting: Add an assortment of RGB lighting with individually addressable RGB LED strips (sold separately) and unleash the full RGB potential of the HD RGB/SP RGB fans (sold separately). 3. Two USB 2.0 internal headers: Connect up to two additional USB 2.0 devices while only occupying one USB 2.0 header on your motherboard. 4. Four thermistor inputs: Monitor temperature in different locations throughout your system. 5. CORSAIR Link software support: Manage and control the devices connected to the Commander PRO through our intuitive CORSAIR Link software. 6. Low profile design: Slim form factor means it can be installed anywhere in your case.